Over the course of the past 15 years, there has been a vast sea change in American psychoanalysis. It takes the form of a broad movement away from classical psychoanalytic theorizing grounded in Freud's drive theory toward models of mind and development grounded in object relations concepts. In clinical practice, there has been a corresponding movement away from the classical principles of neutrality, abstinence and anonymity toward an interactive vision of the analytic situation that places the analytic relationship, with its powerful, reciprocal affective currents, in the foreground. These developments have been evident in virtually all schools of psychoanalysis in America, from the most traditional to the most radical. The wellspring of these innovations is the work of a group of psychoanalysts who have struggled to integrate aspects of interpersonal psychoanalysis, various British object relations theories, and psychoanalytic feminism. Although not self-selected as a school, these theorists have generated a distinct tradition of psychoanalytic thought and clinical practice that has become extremely influential within psychoanalysis in the United States. 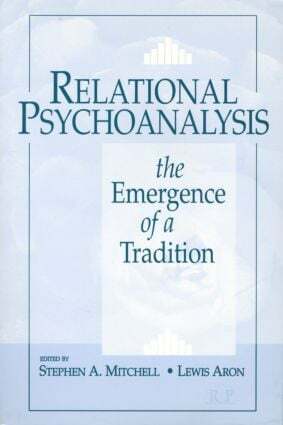 Relational Psychoanalysis: The Emergence of a Tradition brings together for the first time the seminal papers of the major authors within this tradition. Each paper is accompanied by an introduction, in which the editors place it in its historical context, and a new afterward, in which the author suggests subsequent developments in his or her thinking. This book is an invaluable resource for any clinical practitioner, teacher or student of psychoanalysis interested in exploring the exciting developments of recent years.